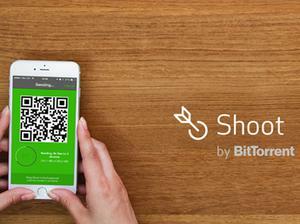 New update to standalone photo-sharing app automatically creates short videos from your photo collection. Facebook has released a new update for its photo-sharing app. No, not Instagram, its other photo-sharing app: Moments. 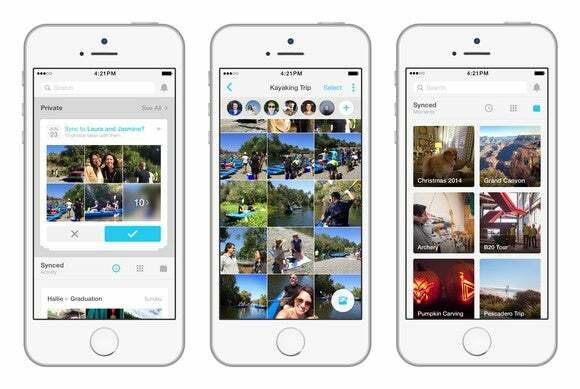 First launched in June, Moments lets you privately share photos from your Camera Roll with your Facebook friends. Facebook’s updated Moments app will now automatically create short music videos from your photo collection that you can share privately with your friends or post directly to Facebook. The video montages resemble the digital flipbooks created by Flipagram, except without the rights to recognizable songs that Flipagram was able to secure this summer. Instead, Moments will use “about a dozen different background music options,” according to TechCrunch. 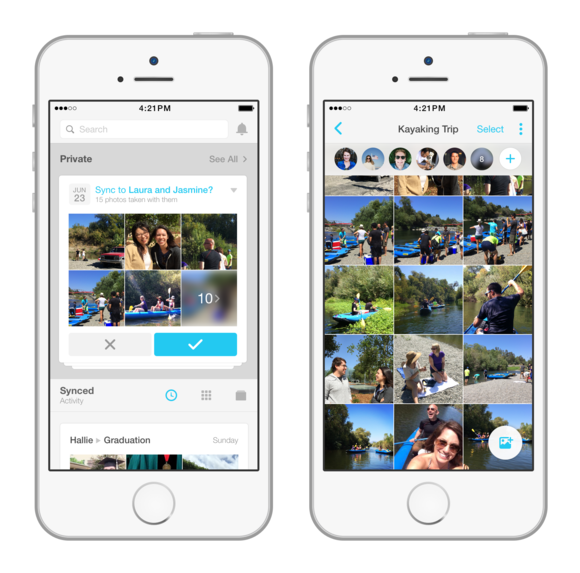 Moments is the latest service that promises you won’t ever have to manually sort through your vast photo collection ever again. The “smart” photo app uses various factors—from location to facial recognition—to organize photos taken at the same time or place, suggest which friends to share with, and stitch together video montages. The Google Photos app has similar features to organize and recognize photos. In addition, Google Photos automatically creates animated GIFs, panoramas, or collages out of similar photos. Why this matters: Facebook has had mixed results in trying to populate our smartphones with its standalone apps. For example, Messenger is a hit, but most other Facebook apps have barely made a splash—remember Slingshot? The vision for Moments started in 2012, when Facebook first tried to lure us into storing all our private photos from our Camera Roll. But somehow the words “Facebook” and “private photos” do not go together for most of us. Then when Facebook launched the aforementioned Slingshot in 2014, the Snapchat clone failed to bring anything new to the private photo-sharing game. Flash-forward to today, and it seems that Facebook has found a winning formula: a standalone app that keeps our private photos away from the rest of the monstrous network but still relies on its social infrastructure to identify and share with our friends. You can download Moments for free from the App Store.